within the shadow of the church. 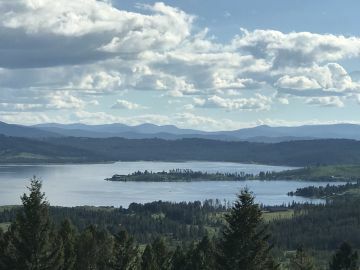 overlooking Georgetown Lake and the Pintler Mountains. 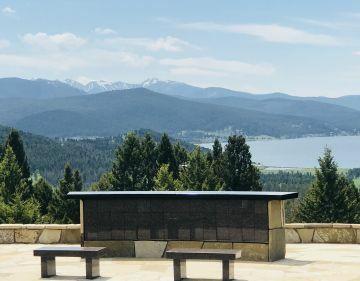 A columbarium is a place for the respectful and dignified storage of the cremated remains of loved ones. Columbariums consist of individual niches where a funeral urn is placed. 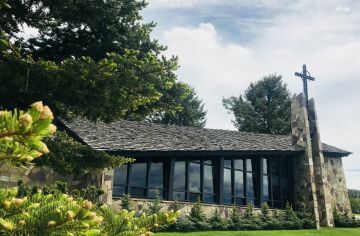 St. Timothy’s Columbarium has forty-two niches. It offers an intimate, peaceful space with spectacular views of the valley below. For more information on availability and cost, visit this page.